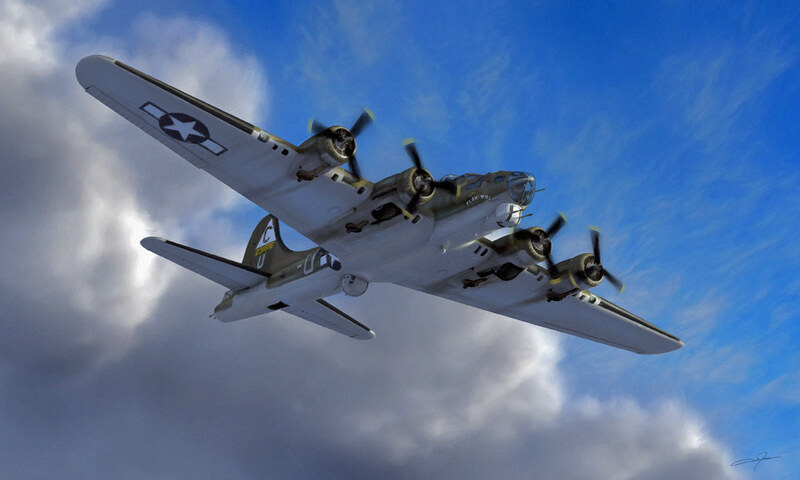 B-17 Flying Fortress - The B-17 Flying Fortress was primarily employed by the United States Army Air Forces (USAAF) in the daylight precision strategic bombing campaign of World War II against German industrial and military targets. The United States Eighth Air Force, based at many airfields in southern England, and the Fifteenth Air Force, based in Italy, complemented the RAF Bomber Command's nighttime area bombing in the Combined Bomber Offensive to help secure air superiority over the cities, factories and battlefields of Western Europe in preparation for the invasion of France in 1944. The B-17 also participated to a lesser extent in the War in the Pacific, early in World War II, where it conducted raids against Japanese shipping and airfields.